Allergy Standards Limited (ASL) is now an official member of the European Academy of Allergy and Clinical Immunology (EAACI). As the world’s most recognised certification mark for asthma & allergy friendly®® products, it was coherent for ASL to be part of the Academy. 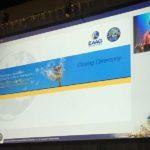 What does the EAACI do? EAACI is then an open society and people professionally interested in the fields of allergy and clinical immunology can join the society as a member by submitting an application. The application is then processed and reviewed by the organisation committee before being validated. Why is it coherent for Allergy Standards to be a member? ASL’s team possesses specialist skills in a variety of medical fields including asthma and other allergic diseases. Indeed, ASL is an International standards and certification body that prepares independent standards for a wide range of products to declare their suitability for people whose lives are affected by allergies and asthma. ASL has also developed the asthma & allergy friendly® mark, in collaboration with different patient advocacy groups, that can be applied to products that consumers can trust. Products earning the certification asthma & allergy friendly®® are subject to rigorous independent testing to determine their suitability. EAACI CONGRESS – ON THE ROAD TO PREVENTION & HEALTHY LIVING We captured Allergy Standards CEO, Dr John McKeon, explaining the main objectives of this Congress and put this video together. ASL ATTEND CLOSING CEREMONY OF EAACI 2017 Closing Ceremony Honours Antti Lauerma, EAACI Congress 2017 Chair And Antonella Muraro EAACI President. ASL TEAM TO ATTEND EAACI 2017 Dr John McKeon And Dr John Ryan Will Be Attending EAACI Congress 2017 In Helsinki, Finland From 17-21 June 2017.